Dear Evan Hansen to Return to Los Angeles! In case you missed it – or want to see it again – Dear Evan Hansen is returning to LA for the 2020 – 2021 season! New Evan is a Hit! 2 hrs. and 35 min. Everything is the same. And everything is different. And then again, everything is the same. 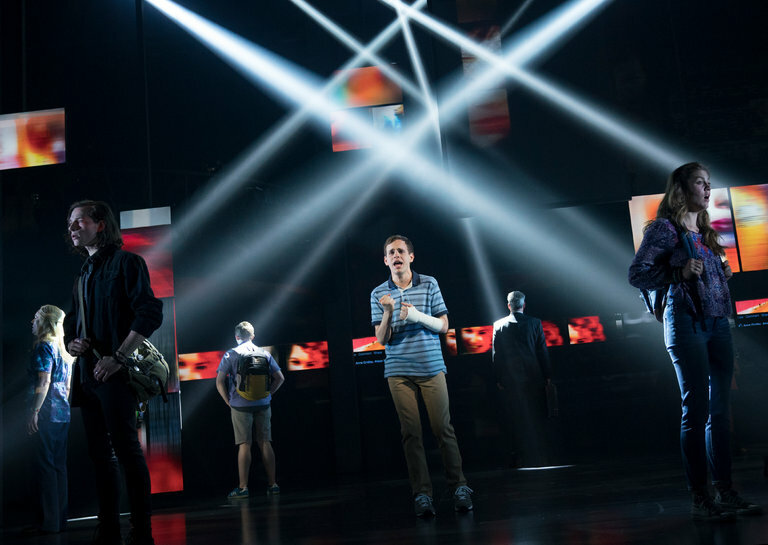 Yes, “Dear Evan Hansen,” which officially introduced Taylor Trensch as its new Evan on Thursday, is still a gut-punching, breathtaking knockout of a musical. But it is differently gut-punching and breathtaking now than it was during the year that Ben Platt led the cast. It would have to be. Even before Mr. Platt opened the show on Broadway, he had been living with Evan Hansen for years: He played the role from the very first reading of the musical in 2014. In some ways it seemed that the authors (songs by Benj Pasek and Justin Paul; book by Steven Levenson) had sewn the character directly onto his skin. Certainly he yowled as if they had; it’s difficult to recall another Broadway musical performance so saturated with pain and confusion. The role could absorb it, though; when Evan tries to comfort the family of Connor, a schoolmate who has committed suicide, their need for information gets tangled with his need to be noticed and a moral nightmare ensues. Also a practical nightmare, as the lies he tells, amplified by social media, return to haunt him. These are big issues. Playing the anxiety-riddled high school senior, Mr. Platt provoked in the audience a reverse suspension of disbelief: As he cried and belted, often at the same time, it was hard not to fear for the actor’s own well-being. On the two occasions I saw him in the role, I wanted to dose myself afterward with a cocktail of Zoloft and Mucinex. Mr. Trensch — who recently finished a 10-month run as a zany Barnaby Tucker in “Hello, Dolly!” — is not playing his illustrious predecessor. (Noah Galvin took over the role during a two-month interregnum.) He has pruned Mr. Platt’s armamentarium of tics and twitches to just a few blinks, a stammer and some wringings of the right hand. He is more naturalistically and intermittently troubled than Mr. Platt was, more apprehensible as an actual 17-year-old. Grammy Nomination for Dear Evan Hansen! Only three musical theatre albums were nominated; five recordings have been recognized in recent years. The Recording Academy recognized three cast recordings in the Best Musical Theater Album category for the 2017 Grammy Awards. The nominations were announced November 28. The Original Broadway Cast Album for the 2017 Tony-winning Best Musical Dear Evan Hansen was among the nominations in the category, as were the recordings for Come From Away and the Bette Midler-led Hello, Dolly! The three-album race follows three consecutive years of five recordings receiving nominations in the category. This is the third time in Grammy history that three musical theatre albums were nominated (after 2012 and 2014). Dear Evan Hansen original headliner Ben Platt and Hello, Dolly!’s Midler, who both earned Tony Awards earlier this year for their performances, are the only vocalists included in the Musical Theater Album nominations. Also listed in the nominations are Dear Evan Hansen composers Benj Pasek and Justin Paul, who were additionally recognized as producers with Alex Lacamoire and Stacey Mindich, Come From Away composers David Hein and Irene Sankoff—again listed as album producers with Ian Eisendrath, August Eriksmoen, and David Lai, and Hello, Dolly! album producer Steven Epstein. Last year’s Grammy went to the cast recording for the Cynthia Erivo and Jennifer Hudson-led revival of The Color Purple, with Hamilton earning the honor the year before. Adding to the Broadway representation in this year’s nominations is Leonard Bernstein – The Composer. The comprehensive, 25-disc retrospective, released by Sony Classical earlier this year as part of the continuing Bernstein centennial celebration, was nominated for Best Historical Album. The 60th annual ceremony will take place January 28, 2018—from New York City for the first time since 2003. For the full list of Grammy nominees, click here. 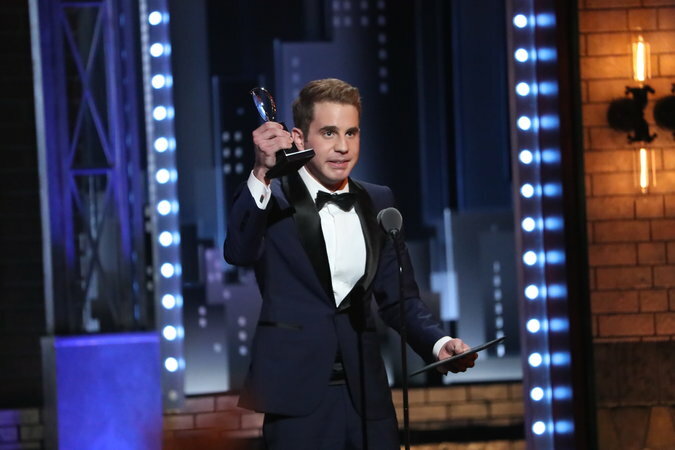 Dear Evan Hansen Wins 6 Tony Awards! • “Dear Evan Hansen” was the big winner of the night, winning best new musical at the 2017 Tony Awards on Sunday. • “Oslo,” a crackling drama about the little-known back story behind the 1993 Middle East peace talks, won the hard-fought competition for best new play. • The best musical revival prize went to a nostalgic revival of “Hello, Dolly!” starring Bette Midler, who won the best actress award and gave a stem-winding speech in accepting it. “Dear Evan Hansen,” a daringly unflinching exploration of loss, lies and loneliness in a high school community, on Sunday won the 2017 Tony Award for best new musical, completing its journey from improbable idea to theatrical triumph. The challenging and cathartic show, about an anxiety-racked adolescent whose social standing improves when he insinuates himself into the grieving family of a classmate who has killed himself, picked up six awards over the night, including a best leading actor Tony for the twitching-and-tender talk-of-the-town performance by 23-year-old Ben Platt in the title role. “To all young people watching at home, don’t waste any time trying to be like anybody but yourself, because the things that make you strange are the things that make you powerful,” Mr. Platt said while accepting his award. The victory by “Dear Evan Hansen” capped a night when Broadway, which has been booming, spread its top honors across several plays and musicals, in contrast to last year, when “Hamilton” swept the board. The ceremony, at Radio City Music Hall, was hosted by Kevin Spacey, who generally stayed away from politics, instead choosing to make fun of his own status as a late-in-the-game and unexpected choice as host. 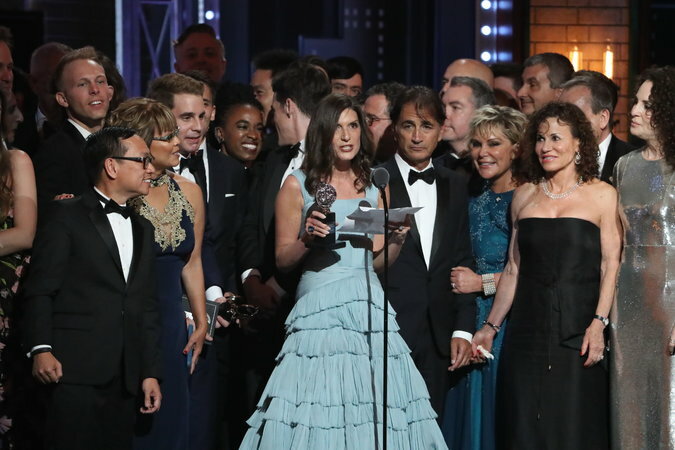 But the night belonged to “Dear Evan Hansen,” which has already made stars not only of Mr. Platt, who previously was best known for appearing in the “Pitch Perfect” films, but also of its young songwriters, Benj Pasek and Justin Paul, who are already at work on multiple Hollywood films, and book writer, Steven Levenson, who recently inked a development deal with 20th Century Fox Television. In an era when Broadway often means big, “Dear Evan Hansen” is intentionally, insistently intimate — the show has just eight roles and an eight-piece orchestra, and it is being staged in a cozy 984-seat theater. Directed by Michael Greif, “Dear Evan Hansen” is also wholly original — not based on a film, a book or a song catalog — and is one of the first shows on Broadway to integrate social media into its depiction of communication and community. The musical, with Stacey Mindich as its lead producer, was also budgeted tightly — it cost just $9.5 million to bring to Broadway, which is significantly less than most, and should speed its path to profitability. Since beginning performances at the Music Box Theater last fall, the show has been doing well at the box office — it is grossing over $1.2 million a week, thanks in part to an average ticket price of $157, and it has succeeded in attracting a relatively youthful audience, which is a rarity on Broadway. A national tour is scheduled to begin in Denver in October 2018. Rachel Bay Jones, who plays the title character’s worried single mother, took the Tony as best featured actress in a musical. Gavin Creel of “Hello, Dolly!” won best featured actor. Other musicals came up short. “Natasha, Pierre & the Great Comet of 1812,” the most nominated show of the season, won just two awards, for set and lighting design. “Come From Away,” the Canadian musical about the welcome Newfoundland extended to diverted air travelers after Sept. 11, 2001, won just one: for best direction, by Christopher Ashley. And “Groundhog Day,” an adaptation of the film, was shut out. Dear Evan Hansen Nominated for 9 Tonys! !